As your Personal CFO, we strive to learn about you and all that is important in your life. We also want you to learn about our team and community involvement. We support many worthy charitable organizations, and we invite you to learn more about several causes close to our heart. Jennifer and her husband Jim, support several agencies that serve foster children. Impower Foundation helps individuals and families in-need to flourish and achieve their full potential. Forever Family is a Florida agency helping find forever homes for foster children who are eligible for adoption. Jennifer has served as a Rotarian for many years. She was a member of the Port Orange South Daytona Rotary for over a decade and with that club led the annual foster children toy drive. She is currently a proud member of the Rotary Club of Lake Mary. Jennifer has led and supported the Community Partnership for Children annual toy drive since 2001. Each year, she and the Port Orange-South Daytona Rotary find donors, raise funds, and organize toy delivery to over 500 children in foster care. 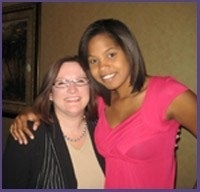 In 2006, Jennifer joined the Community Partnership for Children Mentor Program as one of its first mentors. She became a mentor to Stacy, who has since been informally adopted by Jennifer, her husband, and their children. Jennifer has received the Distinguished Friend of Children award from Community Partnership and served as keynote speaker at the agency’s annual Friends of Children breakfast event. 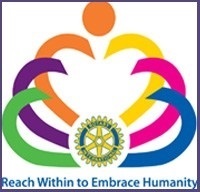 Rescue Outreach Mission is a human services agency located in Seminole County that provides a safe, supportive and healing environment in which disadvantaged or homeless people receive the assistance they need to return to self sufficiency. 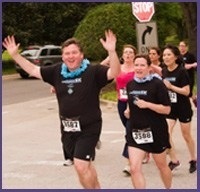 Jennifer’s husband Jim served as past president of the board of directors and his firm leads the annual Corporate 5K Run, which Symphony Financial Team is proud to join each year.